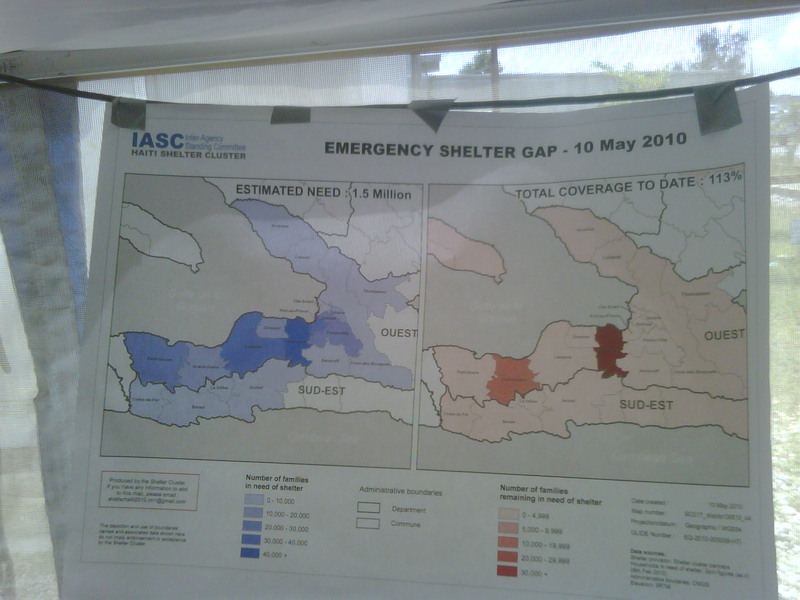 ...According to UN temporary shelter coordinators, overall coverage of 283,000 "households in need," with 1.4 mm people, is 113%. But this counts a HH as "covered" if it has been provided with 1 tent or 2 tarps. Quietly, many NGOs -- for example, the Amer Red Cross -- are scared stiff about the lack of preparation for heavy rains and hurricanes. But the focus of this "cluster" was on "transitional" housing; apparently weather resistant housing is someone else's concern.